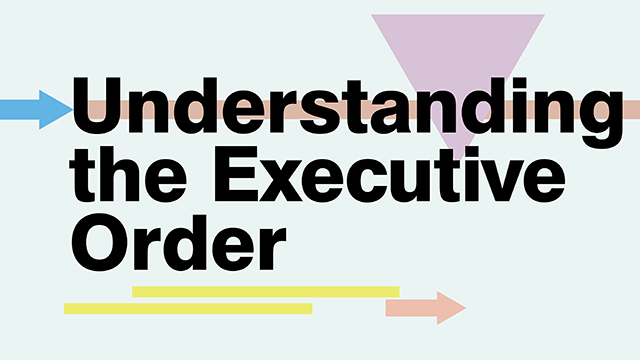 President Johnson adds her voice to the debate regarding the DOE's Proposed Rulemaking amending regulations implementing Title IX of the Education Amendments of 1972. 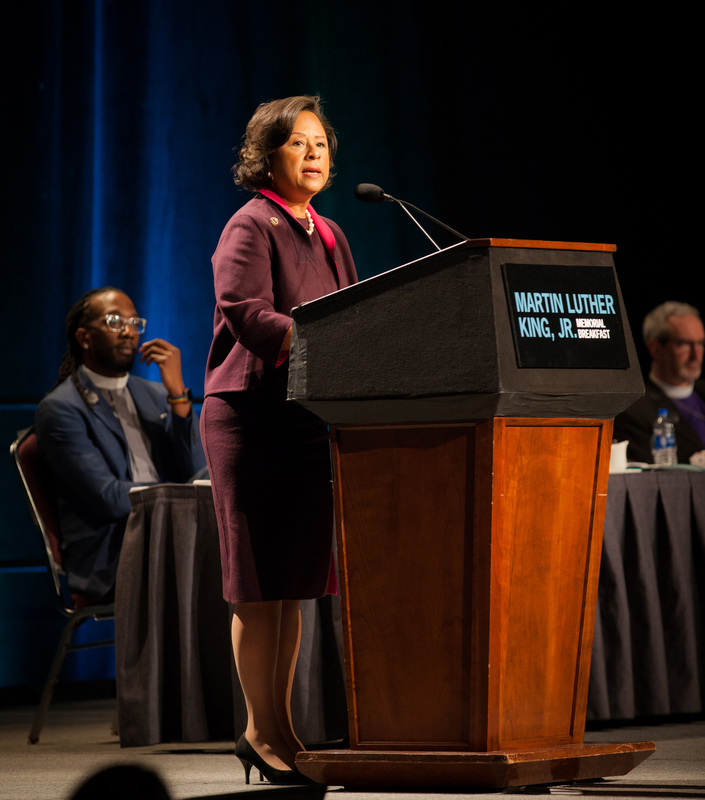 President Johnson spoke at the 2019 Martin Luther King, Jr. Memorial Breakfast in honor and celebration of Dr. King's devotion to social justice. 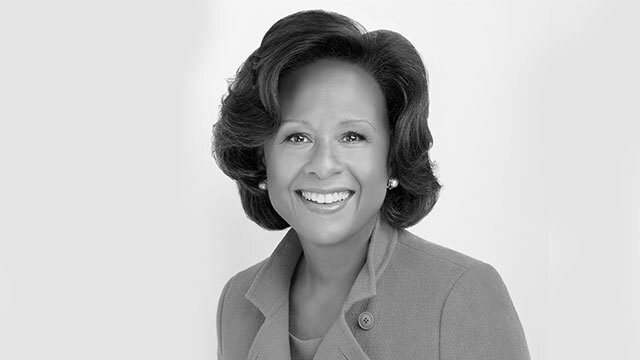 President Johnson's column in the Fall 2018 issue of Wellesley magazine. 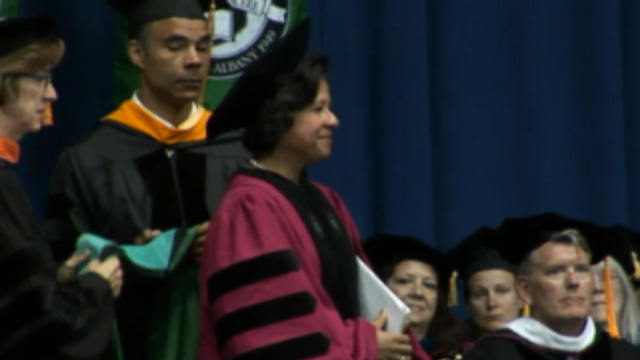 President Paula Johnson ushered in the start of the academic year with her convocation speech. 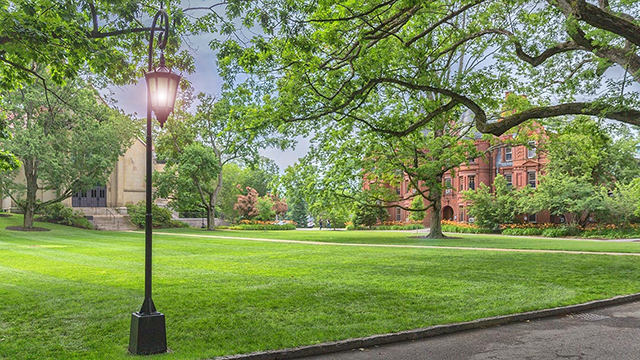 President Johnson's column in the Summer 2018 issue of Wellesley magazine. 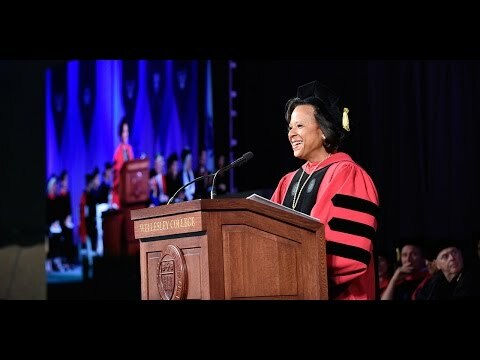 President Johnson delivered her Wellesley commencement address to the Class of 2018. President Johnson's column in the Spring 2018 issue of Wellesley magazine. President Johnson's column in the Winter 2018 issue of Wellesley magazine. Read more about Resilience. Resolve. Balance. 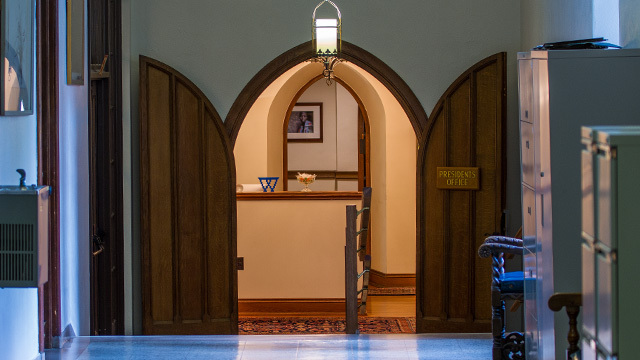 President Johnson takes the opportunity to reiterate Wellesley’s unwavering commitment to academic independence. President Johnson announces the 2018 Distinguished Faculty Lecture will be given by Frances Malino, the Sophia Moses Robison Professor of Jewish Studies and History. President Johnson's column in the Fall 2017 issue of Wellesley magazine. President Johnson describes the significant impact The Tax Cuts and Jobs Act would have on colleges and universities, including Wellesley. President Johnson writes in the Washington Post that narrowing access to birth control goes against scientific evidence and needlessly threatens women’s health. 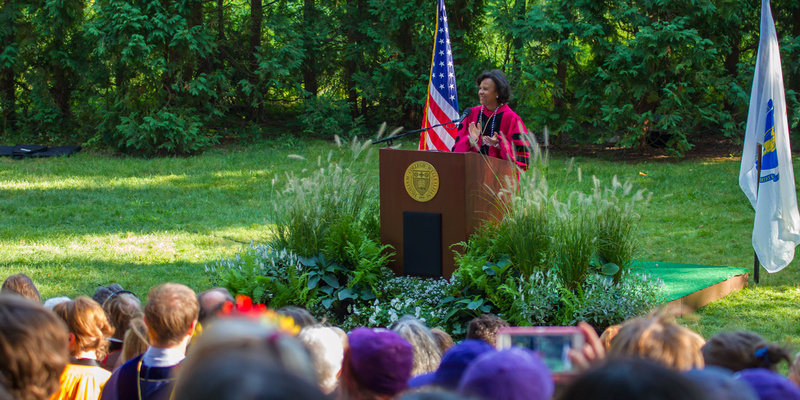 President Johnson ushered in the start of the academic year at Wellesley's 143rd convocation. In the wake of Charlottesville, Va., President Johnson denounces racism and intimidation. President Johnson's column in the Summer 2017 issue of Wellesley magazine. 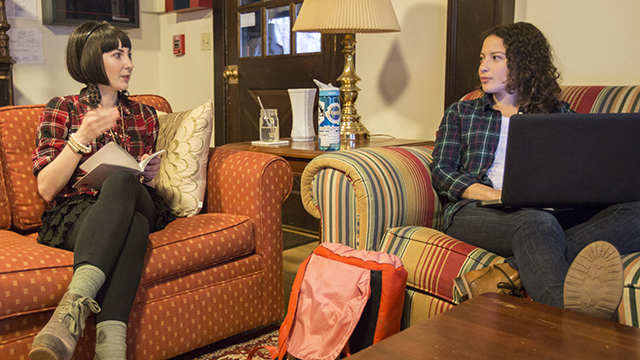 President Johnson share news of the College's Voluntary Retirement Program. 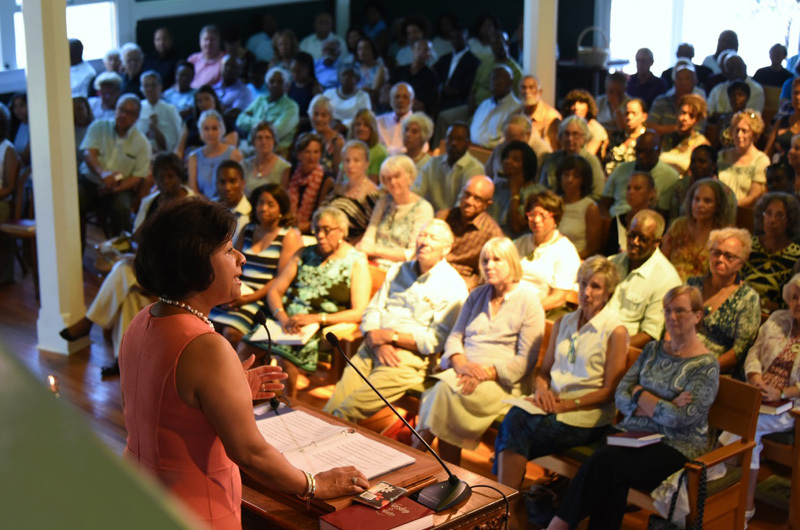 Freedom of expression was the focus when President Paula A. Johnson led the Independence Day Service at Union Chapel on Martha’s Vineyard. 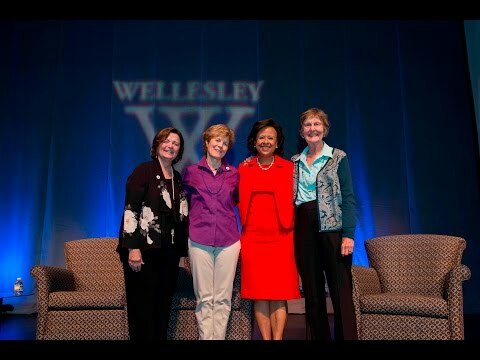 President Johnson looks back on her first year at Wellesley. 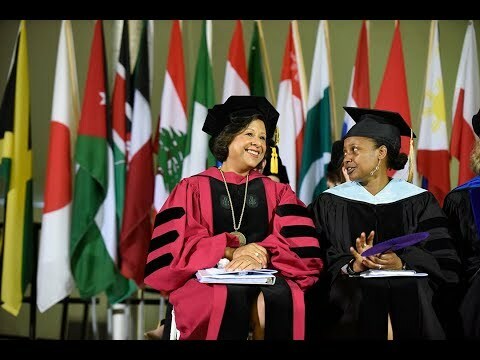 President Johnson delivered her first Wellesley commencement address to the Class of 2017. President Johnson's column in the Spring 2017 issue of Wellesley magazine. When our most difficult conversations include a range of perspectives based in fact and strengthened by respect, they become the very conversations that move us forward. President Johnson's column in the Winter 2017 issue of Wellesley magazine. 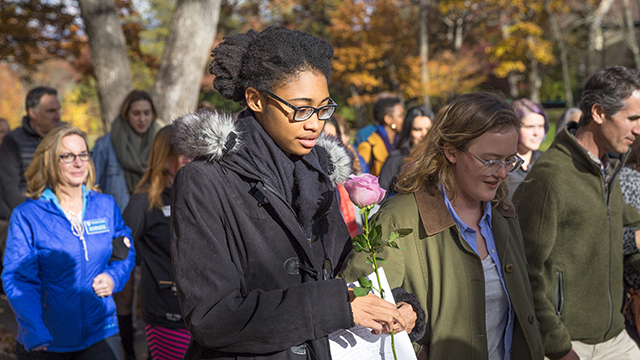 At Wellesley, we believe in the critically important role of free speech and in the open, respectful exchange of ideas. President Johnson addresses the President Donald Trump's January 27, 2017 executive order. President Johnson updates the community with information on protecting all community members from discrimination. 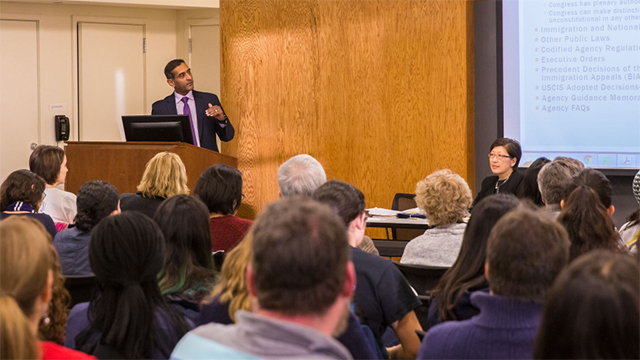 President Johnson notifies the community about a Town Hall on U.S. immigration law. President Johnson's column in the Fall 2016 issue of Wellesley magazine. Letters from President Johnson after the 2016 Election. 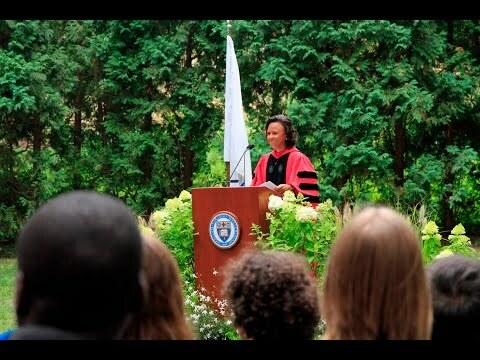 President Johnson invites the community to join her in a peace walk through campus. President Johnson's op-ed on CNN.com asserts "we must transform the world into which the next generation of women will lead." A note from President Johnson about Wednesday’s incident on campus. President Paula Johnson addresses the community after the 2016 presidential election. President Paula Johnson delivered her inaugural address to a crowd of faculty, staff, students, alumnae, friends, family, trustees, and delegates. 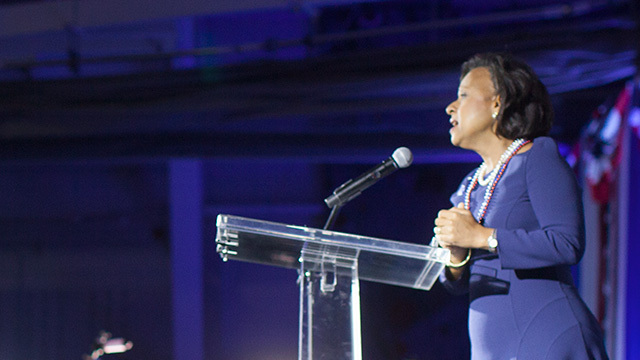 President Paula Johnson ushered in the start of the academic year with her first convocation speech. President Johnson's column in the Summer 2016 issue of Wellesley magazine. 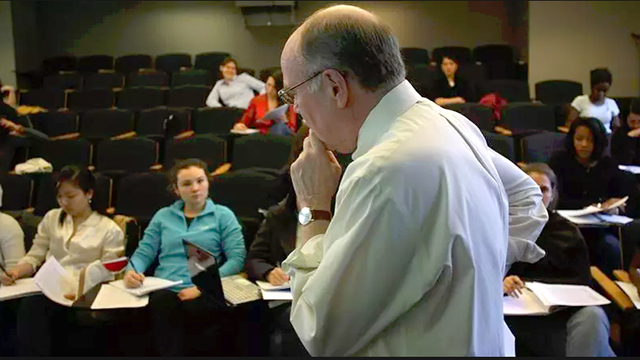 Karl “Chip” Case, Professor of Economics Emeritus will be remembered and missed. 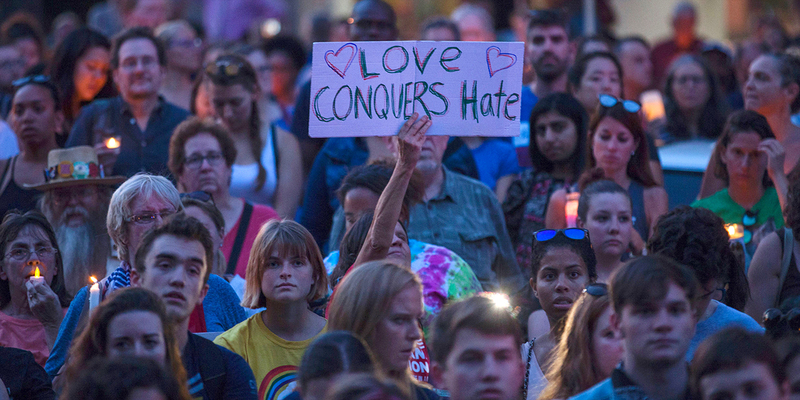 President Johnson calls for the community to stand together to condemn violence and bigotry, and foster understanding. 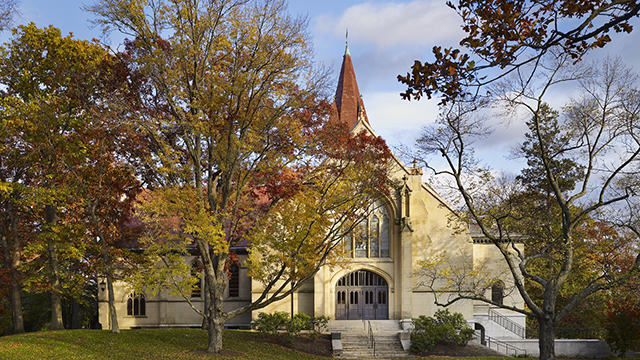 President Johnson's first day greetings to the Wellesley community. 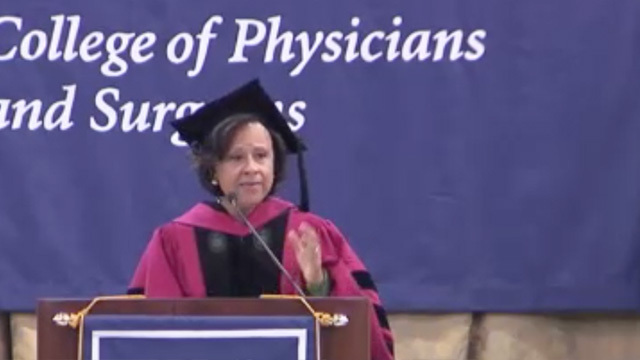 Dr. Paula Johnson was the graduation speaker at Columbia University's College of Physicians and Surgeons. Three-Presidents Panel featuring H. Kim Bottomly, Diana Chapman Walsh ’66, and Nannerl Overholser Keohane ’61 with a surprise visit from incoming president Paula Johnson. Dr. Paula Johnson delivered The Sage Colleges Centennial Commencement address. 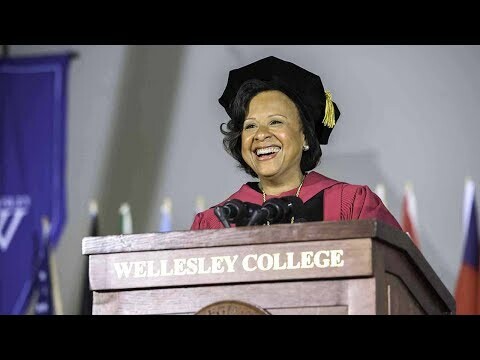 In February 2016, Wellesley announced the appointment of Dr. Paula A. Johnson as its 14th president. 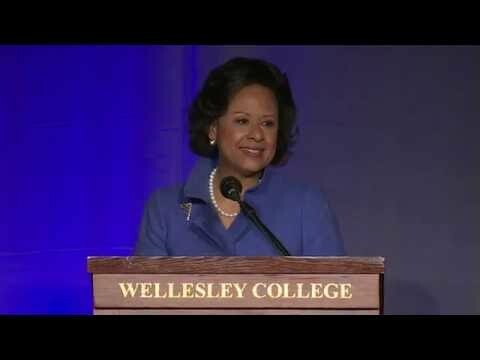 Here she addresses the Wellesley community for the first time.